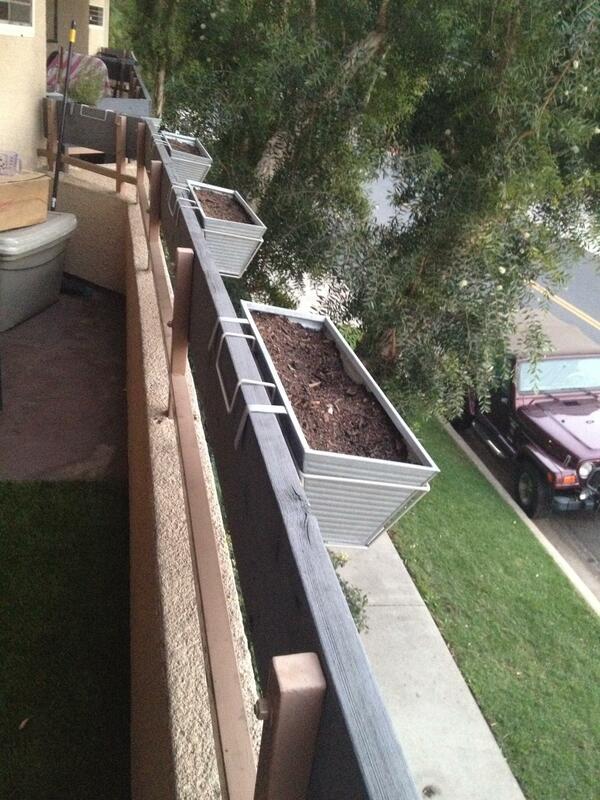 I have 6 CB2 rail box planters and I'm looking for some cool modern plants (or seeds) to plant in them. I'm not really looking for a lot of flowers or anything, especially if they are going to be pink or purple (I'm male). A little bit of light color won't hurt though. They don't really have anything that interest me at home depot of you know what I mean. The succulents are modern but they really don't tickle my fancy and they look like rubber to me. 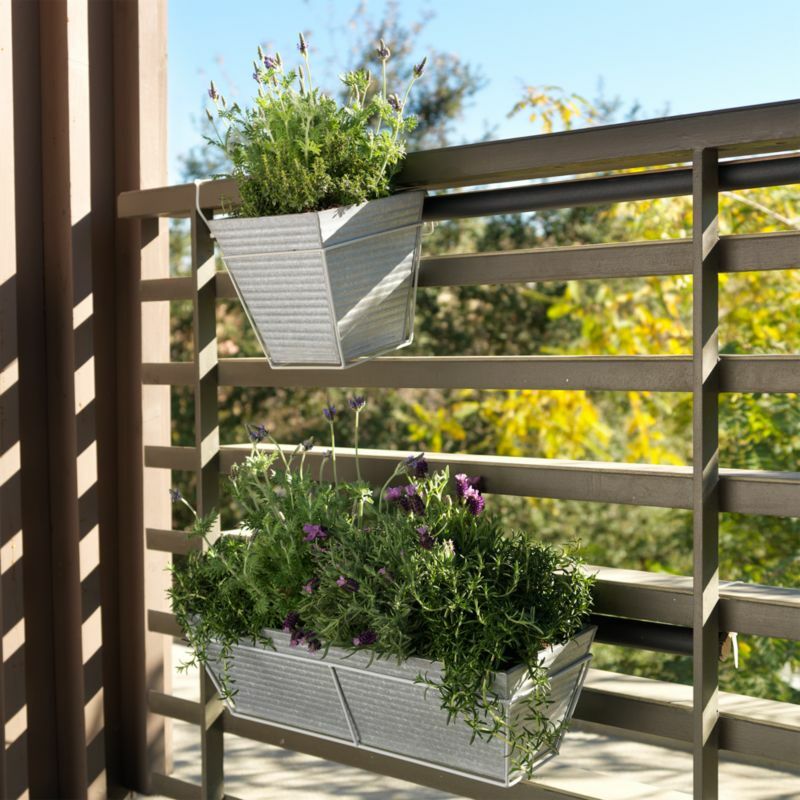 So I'm looking for some cool modern grassy plants to grow about a foot tall in the planters, and then something to go with it that will grow fast and long out the planters and down the side of the rails and walls. They will be in the hot sun for about 6 hours per day as I live in Los Angeles so they will need to hold up to that. Any websites with ideas or your own personal ides would be appreciated. I saw these up in the hills last week but im not really sure what they are. Not so bad. Welcome to the forum. It would help if you included your zone and location in your profile. You said you like grassy plants? What other kinds of plants do you like and what colors. What is the color of the planter and the house. To make a planting more aesthetic it should also compliment the style and color of the house. Do you want all the plants to grow up or do you want something that cascades down or both? Do you want the window box full of the same thing or a mixed planting? How much sun and wind does the location get and how are you going to water them? How deep is the window box, a plant that gets a foot tall needs a good depth for the roots. imafan26 wrote: Welcome to the forum. It would help if you included your zone and location in your profile. What other kinds of plants do you like and what colors. What is the color of the planter and the house. the planters are pictured above. I'm not sure of what I do like but I'm very certain of what I don't like. Grannies floral garden is not my style. I'm more CB2, DWR, etc. 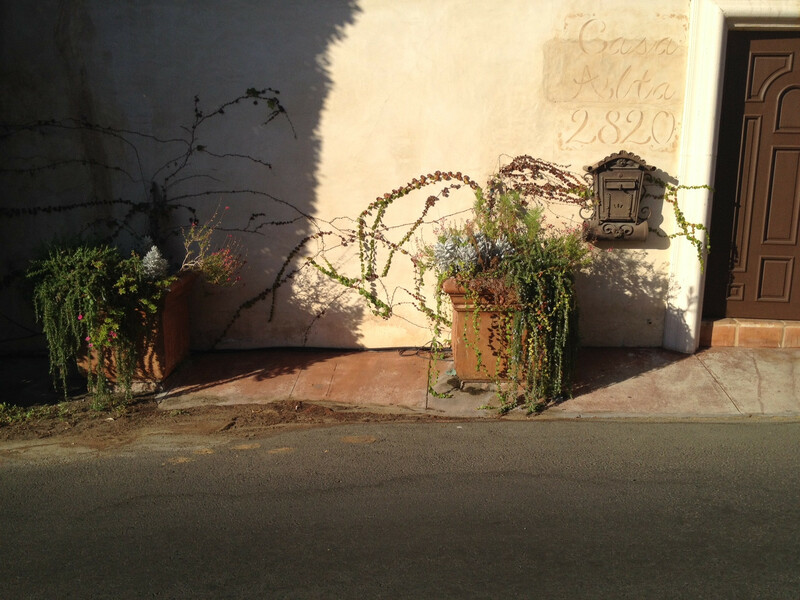 What is in the pictures are prostrate rosemary, lavender with the lavender flowers, and what looks like bromeliads. There are some dwarf fountain grass that may also work. I had one that was called bunny tails. You could also grow some of the dwarf bamboo in pots. Many of the herbs will work in pots. Rosemary comes in a prostrate cascading form as well as an upright form and it is a culinary herb. Lavender has gray green leaves and depending on the cultivar blooms in early summer. Some of the sages may also work. I usually don't do much mixed plantings in small containers so someone else may have suggestions for combinations. 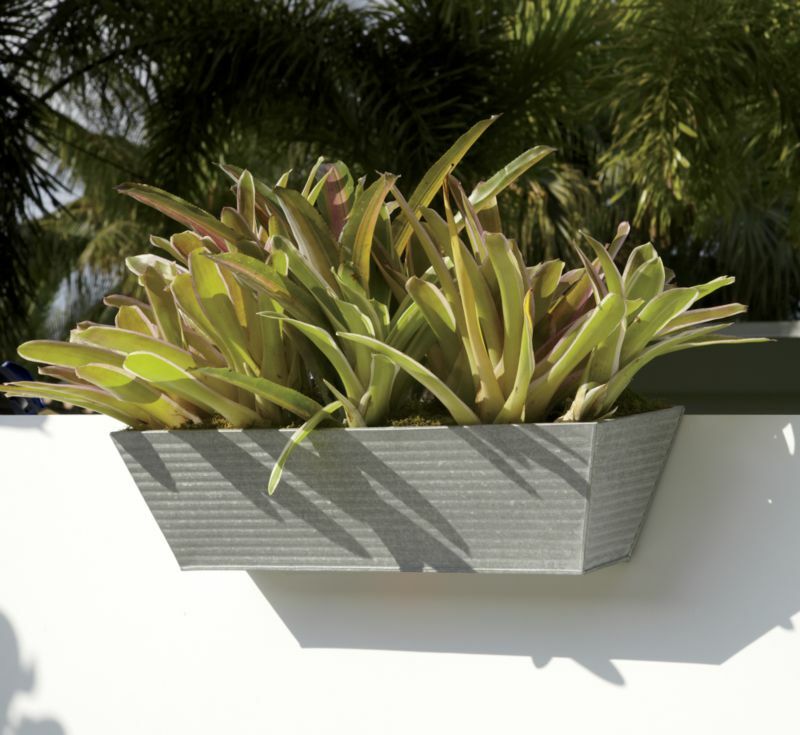 These planters look kind of smallish.... You may be limited to miniature plants and shallow rooted drought tolerant plants -- like cactus and succulents. I like to grow edibles -- I'm thinking herbs like thyme would cascade over the side and in your location, you could grow all the varieties that are somewhat less winter hardy, including the variegated ones like cream edged and white edged ones. Lemon thyme has lemony scent. Thyme will bloom tiny flowers in pink, purple or white depending on the variety. In the sunniest ones, you might be able to grow tricolor variegated sage. Is the box with bromeliads in it bigger? if so, you may be able to grow some of the more colorful oregano varieties. This won't cascade, but Spicy Globe Basil with the tiny leaves might work in the small planter too, and you can clip them into any shape as you harvest the leaves. *IF* you wanted showy colorful flowers, portulaca is always a good choice. Interesting challenge. A lot of what I would think of as "modern" plants - striking "architectural" forms and colorful foliage - I know as houseplants. They mostly turn out to be tropical that like heat, but not drought and full sun. Agaves love those conditions. They are typically thought of as huge, but there are mini varieties as well, such as A bloodspot, A.pelona, A. utahensis, which would work in your containers and are very striking forms. Stenotaphrum, variegated buffalo grass, is a very tough hardy trailer with interesting leaf forms. Purple love grass is one of those ornamental grassy things you were thinking about, that is colorful and smallish (but not small - it would take up all of one of your planters by itself). Russian sage is an interesting plant that makes a nice airy backdrop. The common ones are very big, but there are dwarf versions of it also. Sedum firecracker is a small red-leafed sedum. But I really like applestar's suggestion of herbs. Many of the culinary herbs are Mediterranean plants and thrive in hot and dry, including thyme, sage, rosemary, lavender, oregano. Thyme and oregano would be trailers, some rosemary is prostrate. Sage comes in a variety of sizes and some variegations. Lavender is also available in a variety of sizes. Speaking of sage, along with the culinary sage (salvia officinialis), there are a variety of flowering salvias, mostly in brilliant reds, in a variety of sizes, that would also do well in your conditions. Have fun looking things up and deciding... Welcome to the Forum! Welcome to the forum, SummerMan! I only grow edibles, and your mention of grasses made me think of something I grow every year - lemongrass. My mom actually thought I was growing ornamentals the first year she saw it! While the regular lemongrass is much larger than you say you want, the lemongrass grown from seed is much smaller - the reason I only grew it once. They may be perennials in your area - zone 10 and up - though I didn't see your zone. Thanks for the suggestion for the herbs, but I have a metal shelf outside that I plan to put all of my herbs on. I have 6 of the long rectangle metal planters and yes they are small however I think they are big enough to grow what I want. They look small in the photo but they are bigger in person. I also forgot to mention that I have a small 4 year old so any type of cactus or pointy succulent or even agave is out of the picture. Im from the east coast so I like more lively plants anyways. Oh, if you have a 4-year old, then my recommendation would be STRAWBERRIES. Kid friendly plants. I would go with some of the dwarf fountain grass. They are mostly non toxic and can take some pulling on. Other kid friendly plants although, I would not call them modern are Lamb's ears. The leaves are soft like a lamb's ears so it is a good sensory garden planting. Other good plantings for kids would be miniature sunflowers (they would be annuals). There is a perennial Mexican sunflower (tithonia) there are dwarf varieties it will be a small shrub in a large enough container. An interesting grass would be quaking grass, there are many different kinds, but they shake in the wind and are attractive to butterflies too. You could also grow geraniums. The ornamental geraniums bloom and some have variegated foliage but there are scented geraniums like rose, peppermint, lemon, pineapple,cinnamon, lime, and nutmeg to name a few. The leaves smell and taste like the scent it is named for . The flowers of the scented geraniums are pink and seasonal. I am partial to lavender. I live in zone 12a so I grow l. mutifeda which blooms nearly all year for me. The other lavender foliage have stronger scents but are seasonal bloomers. Another good plant for scent is the curry plant, helichryssum italicum. It does smell like curry spice. Pansies, violas and nasturtiums are cool season plants but since the flowers are edible they would be fairly non-toxic. Nasturtiums will cascade down. I also like pineapple sage but may be too small for your planter in the long term. It becomes a shrub and has a slight pineapple flavor in the leaves and flowers. The flowers are usually used to decorate punch or tea and the leaves are good with fruit salad. Strawberries are a great idea as long as no one has allergies. But that goes for any plant. I actually like peanut, it has a yellow flower and grows like a ground cover, but many people are allergic so maybe not. I read once before that white strawberries often can be tolerated by people with strawberry allergies. I just did a quick search and this site mentions it, too. One of the primary ripening proteins is called Fra a1. Strawberries containing this protein redden into the familiar appearance as they reach full ripeness signaling their readiness to be consumed. Most white strawberries are either deficient or completely lacking this protein. So, even when they are ripe, they remain white instead of turning red. Their strawberry genetics don't allow them to become red. So, the reason white strawberries are white is simply because they lack the ability to turn red. The protein related to ripening (Fra a1) is more completely known as Fragaria allergen A1. This protein is thought to be the one primarily responsible for strawberry allergies. Consequently, it may be possible for an individual with a strawberry allergy to consume white strawberries without negative side effects or allergic reactions. Of course, if you have such an allergy, only try eating a white strawberry under medical supervision. I'm going to try growing this variety from seeds this winter. http://www.superseeds.com/white-soul-strawberry.html but Pinetree is in the northeast -- if you are interested, I'm sure there are sources on the west coast that you could source seeds or plants from. My daughter doesn't have allergies, but when she was around 5 or 6, I picked a colander full of wild and cultivated strawberries from the garden, and she tried to eat *A LOT* of it... and ended up with a rash around her mouth. I promptly froze the rest and she had to stay away from strawberries for a whole week, then only small amounts thereafter. I told her we had to do this so she would not DEVELOP allergies to strawberries, and she tearfully agreed.... Thanfully, it worked. Unfortunately my search for some cool plants has yielded no good results. I've been really busy so not much has happened. 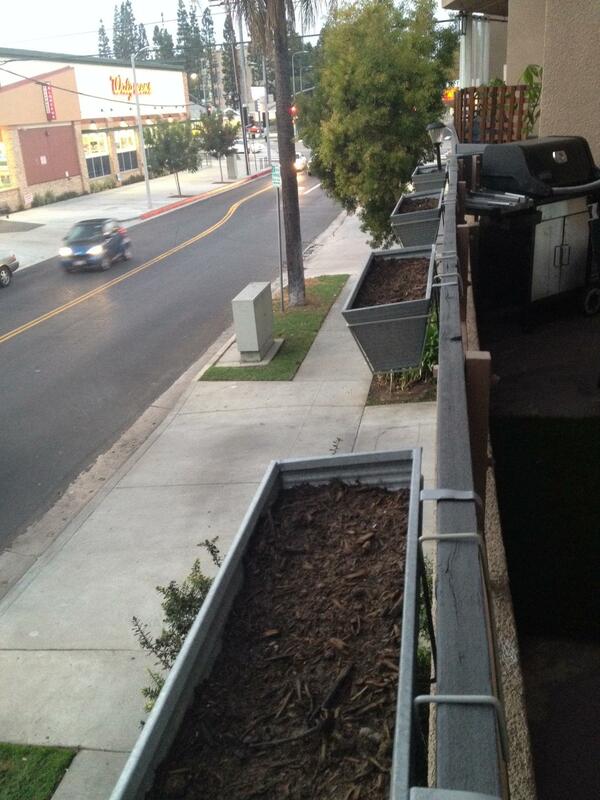 My planters are still just full of dirt. I did realize that I love the look of wheatgrass and that would be perfect for my more modern looking patio, but I heard that it dies after awhile. Are there any plants that look like wheatgrass that don't die after a few weeks? 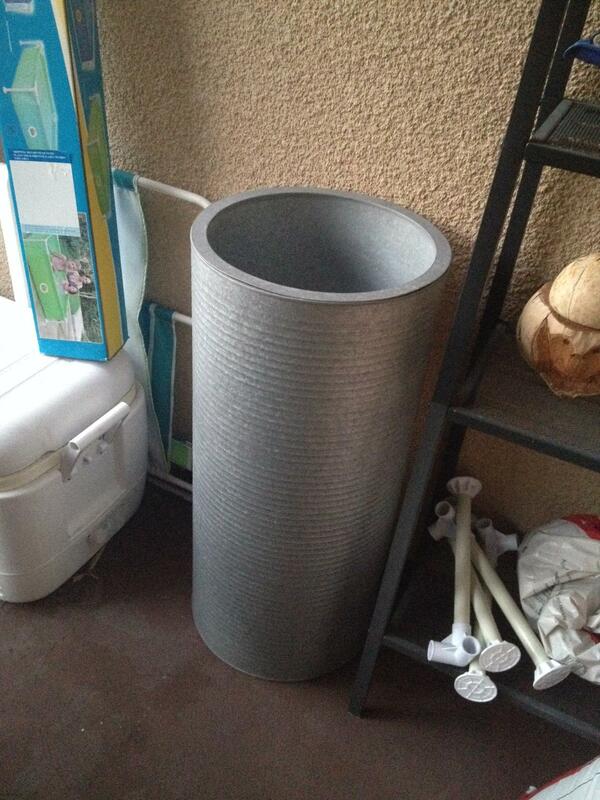 For the cylinder planter at the bottom, I think I might do a lush fern, however there isn't much shade on my patio. Most of the grasses are invasive. While they might not be on your deck, the seeds may travel and sprout in other places. There are a few that are less unruly but still need to be managed. Blue Fescue, Black Fountaingrass "Moudry", purple fountain grass, and Bowles Golden Sedge. 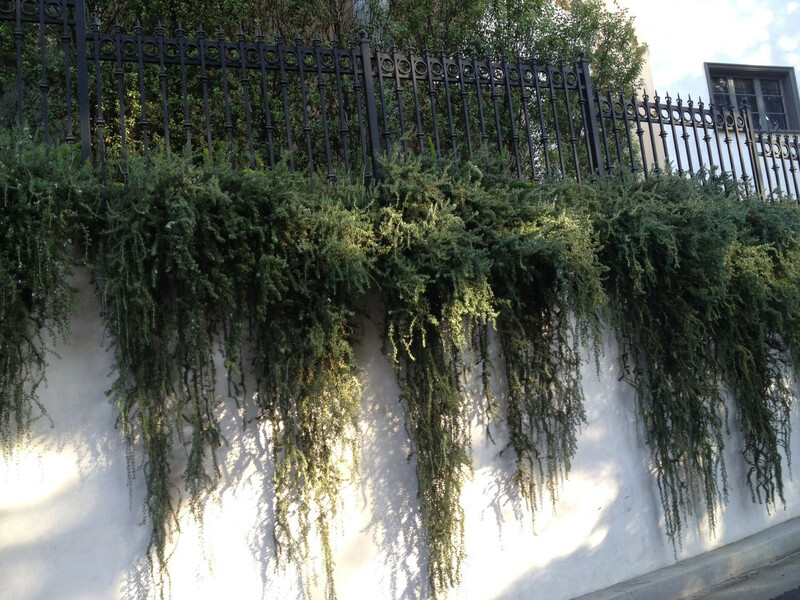 Horsetails will work in a planter, but likes to be very wet and is invasive so needs to be managed. Im thinking the grass ting might not work so I'm also looking at hummingbird mint in various colors. That will be cool to feed the birds and then i could also find a cool weeping plant to creep down the sides. I do like the blue fescue but I think its a bit thin for the look I want.